Photo: Fletcher Coffman House, ca. 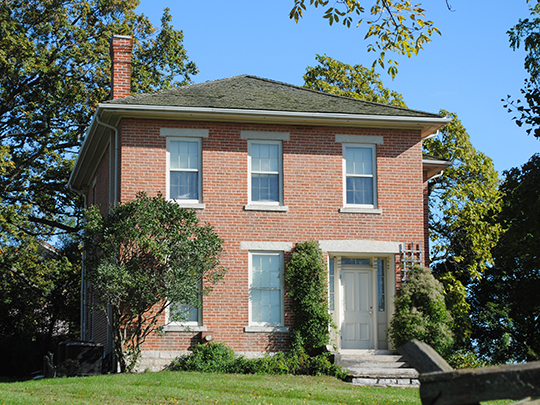 1862, 6659 Coffman Road, Dublin, OH. Listed on the National Register of Historic Places in 1979. Photographed by user:Wdzinc (own work), 2011, [cc-by-3.0 (creativecommons.org/licenses/by/3.0)], via Wikimedia Commons, accessed January, 2014. The Franklin County Courthouse is located at 373 South High Street, Columbus OH 43215; phone: 614-462-3322. Franklin County, named for Benjamin Franklin, was created in 1803 from Ross County. Home to Columbus, State Capitol of Ohio and the Franklin County Seat.